The launch of M.V. 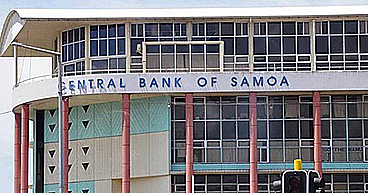 Samoana’s maiden voyage on Wednesday at Matautu wharf is only the beginning of improved shipping services in the Pacific region. 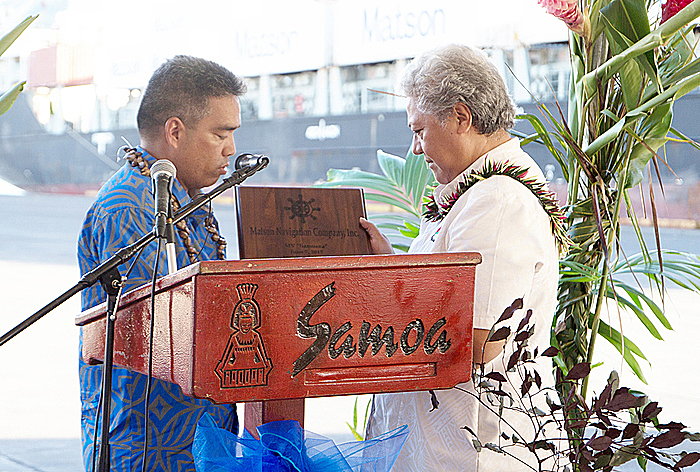 That’s the ultimate goal according to Acting Prime Minister, Fiame Naomi Mata’afa, who spoke on behalf of the government to acknowledge Matson Company for the initiative. The service promises to provide the fastest transit time from Hawai’i and the U.S. West Coast to the two Samoas. “I am very pleased on behalf of our government to see a company that is primarily based in Hawaii provide a link between the Pacific countries in keeping our neighbourhood, keeping our region connected which is important,” Fiame said. 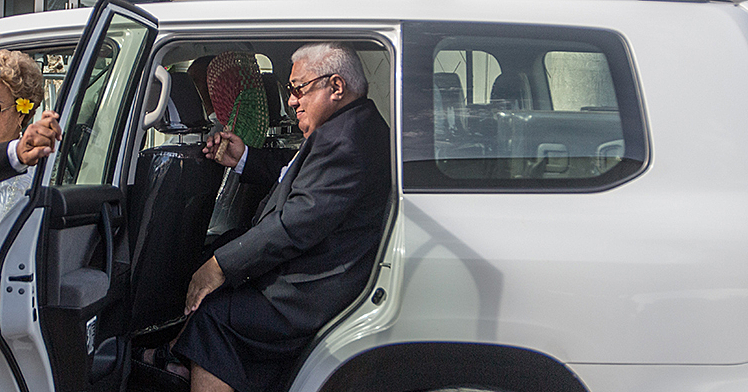 Tuilaepa in question is the Senior Vice President of Matson in the Pacific, Tuilaepa Vic Angoc. He said the new product is part of Matson’s efforts to improve their services in the region. “We are looking forward to drawing in businesses but also in improving shipping service here into the Samoas,” Tuilaepa said. “We also want to work with Samoa to build that industry of exporting those goods from the islands, so today it’s about celebration. 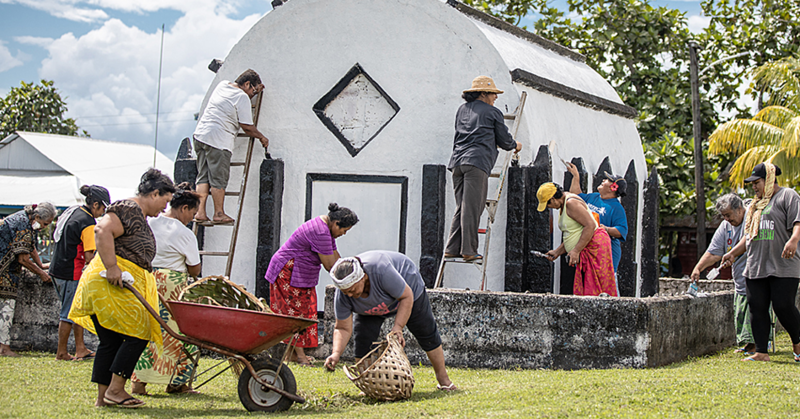 “All we are doing here is leveraging that service that we have in Hawaii, and having our customers here in the South Pacific also benefit from our service in connecting with Samoas. The Company’s fleet of 22 owned vessels includes containerships, combination container and roll-on/roll-off ships and custom-designed barges. “We started four years ago with the New Zealand Service, a year ago this month in June we launched the South Pacific Express, and in August in 2016 we run the Vessel Islander into the Samoas, Tonga, Fiji and then back into Honolulu once every twenty eight days. “We run that successfully for eleven voyages, but our customers asked for more then we want to do more business and we need more service. “So ladies and gentlemen we are here celebrating the fact that we are increasing the service into both Samoas! This is your ship, this is your Samoana! Matson Logistics, established in 1987, extends the geographic reach of Matson’s transportation network throughout the continental U.S. Its integrated, asset-light logistics services include rail intermodal, highway brokerage, warehousing, and less-than-container load freight consolidation and forwarding to Alaska.